Prince & Co., brass, were in business in 1889 at 408 Bleecker St. This became Prince & Stolpe, brass, at 330 Seventh Ave. in 1890 and a year later Prince & Stolpe at 729-731 1st Ave. In 1892 the business name changed to the Prince & Kinkel Iron Works at this same address. 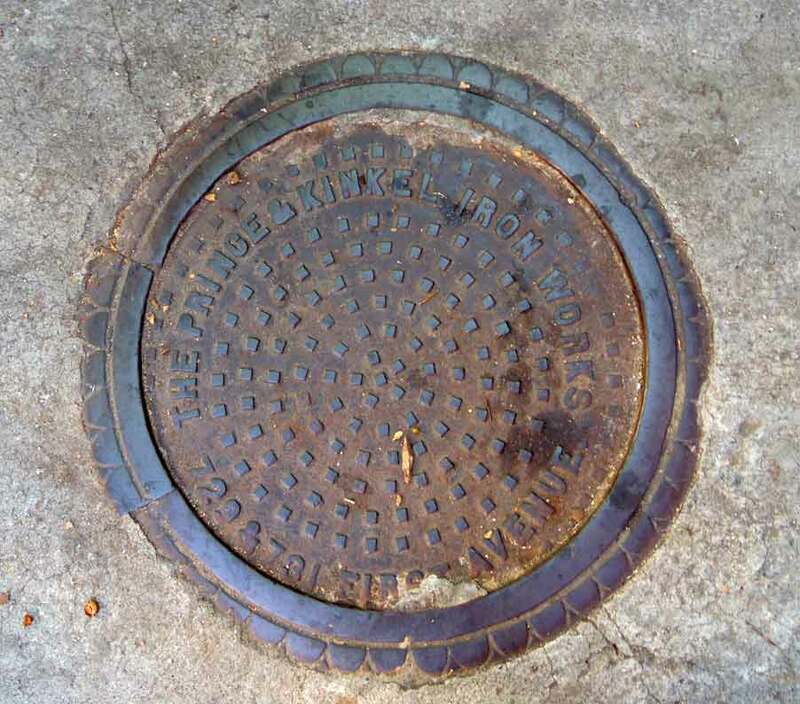 The partners at Prince & Kinkel were Leonard Kimball Prince (1857-1943) and Robert A. Kinkel (1856-1929). Kinkel seems to have retired from the business early, and Prince renamed the company the Prince Iron Works in 1904. This announcement appeared in Building Trades Employers Association Bulletin, vol. V, no. 1, New York, January, 1904, "An announcement of business changes and imrpovements is made by Mr. L. K. Prince, the popular Vice-President of the Building Trades Employers' Assn., and President of the Prince Iron Works, 553 to 557 West 33rd St., as follows: 'We take pleasure in announcing to our friends, customers and trade in general, the incorporation of the Prince Iron Works, as successor to the Prince & Kinkel Iron Works. The active management will be the same as heretofore, but with considerably increased manufacturing space and facilities in both structural and ornamental departments. The installation of a compressed air and riveting plant, together with our large stock of structural shapes, will enable us to make prompt deliveries of riveted material. In the ornamental department we are erecting special machinery for stair construction in both steel and cast iron.'" The Prince Iron Works stayed in business through 1916. Leonard Prince appears in the 1860 U. S. Census living in Brooklyn as a two-year-old son of Kemble Prince, a paper merchant from Maine. In 1913 he applied for a passport, where he delared that he was born 15 December 1857. In the New York State Census in 1915 Robert A. Kinkel (spelling it Kinkele) lived on Wright St., Staten Island, and said that he had no occupation. Kinkel was buried in Green-Wood Cemetery, Brooklyn, 1929-02-14. This ad for Prince & Stolpe appeared in the Trow New York City Directory, 1891. Stolpe was Hugo E. Stolpe. He was issued several patents in the 1890s, for instance, this one for a "Combined Punching and Shearing Machine," available on google patents. Stolpe seems to have moved to Germany (returned?). This patent in 1906 has him living in Pankow, near Berlin. Otherwise, I have found very little information about Hugo Stolpe. A record on www.germanimmigrants1880s.com says he arrived in the U. S. 10-11-1884, age 29. This ad for Prince & Kinkel dates from 1898, when they were located on West 33rd St. This ad for the Prince Iron Works dates from 1905 and specifies that they are the successors to Prince & Kinkel.